Yes, eggs are the “quintessential” breakfast food. And for good reason! No, I'm not talking about processed egg whites in a carton. I mean actual whole “eggs”. Egg whites are mostly protein while the yolks are the real nutritional powerhouses. Those yolks contain vitamins, minerals, antioxidants, and healthy fats. Eggs have been shown to help you feel full, keep you feeling fuller longer, and help to stabilize blood sugar and insulin. Not to mention how easy it is to boil a bunch of eggs and keep them in the fridge for a “grab and go” breakfast when you're running short on time. And...nope the cholesterol in eggs is not associated with an increased risk of arterial or heart diseases. One thing to consider is to try to prevent cooking the yolks at too high of a temperature because that can cause some of the cholesterol to become oxidized. It's the oxidized cholesterol that's heart unhealthy. Nuts and seeds contain protein, healthy fats, vitamins, minerals, and fiber. Nuts and/or seeds would make a great contribution to breakfast. You won't be fooled by “candied” nuts, sweetened nut/seed butters, or chia “cereals” with added sugars – you know I'm talking about the real, whole, unsweetened food here. Nuts and seeds are also the ultimate fast food if you're running late in the mornings. Grab a small handful of almonds, walnuts, or pumpkin seeds as you're running out the door; you can nosh on them while you're commuting. Not to mention how easy it is to add a spoonful of nut/seed butter into your morning breakfast smoothie. Hint: If you like a creamy latte in the mornings try making one with nut or seed butter. Just add your regular hot tea and a tablespoon or two of a creamy nut or seed butter into your blender & blend until frothy. Yes, you already know you really should get protein at every meal including breakfast; but this also applies to veggies. You know I would be remiss to not recommend veggies at every meal, right? Veggies are powerhouses of vitamins, minerals, antioxidants, phytochemicals, fiber, and water. You can't go wrong adding them into every single meal of the day so if you don't already you should definitely try them for breakfast! And no, you don't need to have a salad or roasted veggies for breakfast if you don't want to but you totally can! You wouldn't be breaking any “official” breakfast rules or anything like that. Adding some protein to leftover veggies is a great combination for any meal. Including breakfast. 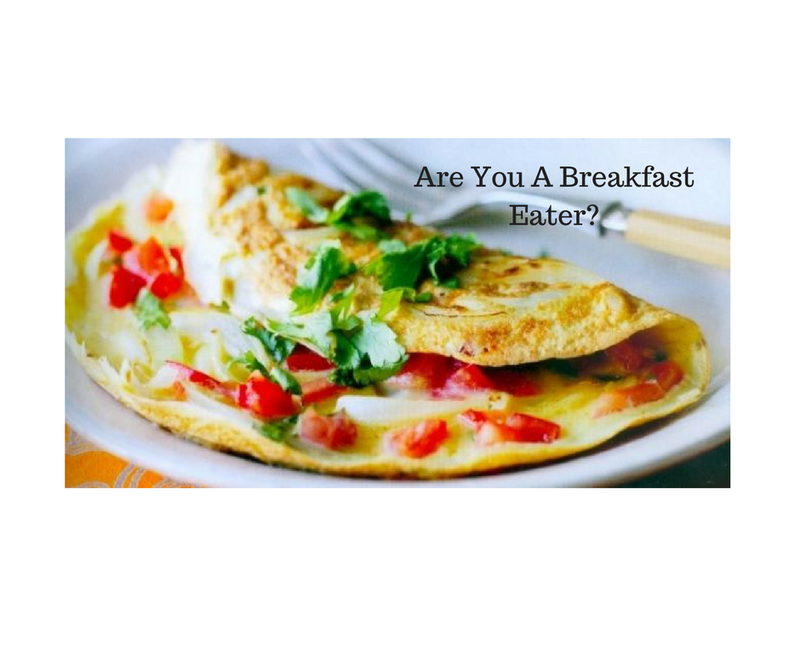 I've included a delicious recipe below for you to try (and customize) for your next breakfast. Add coconut oil to a frying pan and melt on low-medium heat (cast-iron pans are preferred). In the meantime grab a bowl and beat the egg(s) with your vegetables of choice and the spices. Tilt pan to ensure the bottom is covered with the melted oil. Pour egg mixture into pan and lightly fry the eggs without stirring. When the bottom is lightly done flip over in one side and cook until white is no longer runny.